Since its inception in 1991, Circus Eruption has participated in some exciting and varied events. From putting on shows in the Dylan Thomas theatre to holding a 24 hour circus where there was a continuous performance in our Parc Tawe space for the entire 24 hours. Some of our members have faced epic challenges raising money for Circus Eruption - one of which was riding from London to Loughor on unicycles! 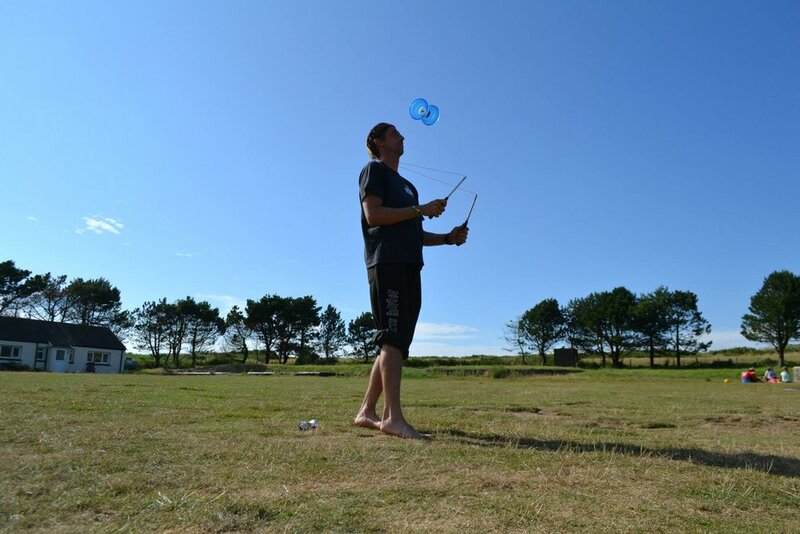 We've had residentials where we've taken young people to St Madoc's camp on the Gower, opportunities to mix with other youth circuses like Wookey Hole and professional circuses such as No Fit State. We've hosted our own festivals: "I'm An Angry Toaster", "I'm An Angry Toaster 2: This Time It's Wholemeal" and "I'm An Angry Toaster 3: Oh Crumbs" where our members and guests from other circuses came together for workshops and a performance.